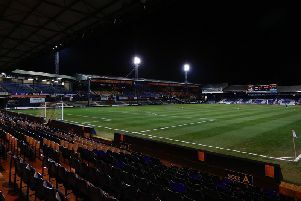 Luton Town have completed their second signing of transfer deadline day by bringing young Ipswich Town midfielder Flynn Downes to the club on loan until the end of the season. The 19-year-old has played 12 times for the Tractor Boys this campaign, including at Kenilworth Road in the Carabao Cup back in August. He’s a real energetic, combative midfield player. We know what type of character and what type of worker he is, because he’s one that Mick McCarthy likes. Flynn also made his England U19 debut against Germany in September and won three caps in the Young Lions’ European Championship qualifying campaign. On his new arrival, Luton boss Nathan Jones said: “Flynn is a young Championship player who Ipswich have big hopes for. “We don’t take many loans, but we knew about him and once we were made aware he’d become available, we felt it was worth the chance to take him. “He’s a real energetic, combative midfield player. We know what type of character and what type of worker he is, because he’s one that Mick McCarthy likes – and if Mick McCarthy likes him we know we are getting a real top midfield player. Downes himself was thrilled to get the chance to play regularly in Town’s League Two run-in, saying: “I can’t wait to get started. Downes’ arrival will give Jones more options now in midfield, especially after signing Lloyd Jones from Liverpool too as the Hatters chief added: “For us to bring someone in in that area, he has to be a very good footballer and has to be different to what we’ve got. “We are looking to strengthen in that area just in case we had to move Glen (Rea), but now it gives us options at both centre-half and in midfield. “With what we’ve done today we’ve strengthened the squad for the run-in, getting players that were as good, if not better than what we already had in the building.